Here’s an odd one. 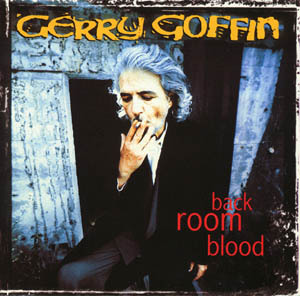 In 1996, a rare year in which no new Dylan album came out, he collaborated on two songs on a Dylanesque album by Gerry Goffin, Back Room Blood. Goffin, of course, was the songwriter who co-wrote fifty top forty hits, many with his first wife Carole King. These included “Will You Love Me Tomorrow”, “The Loco-Motion”, “(You Make Me Feel Like) A Natural Woman”, “Up On the Roof” and many, many others. He was one of the great rock songwriters, particularly when he worked with King. The two of them were inducted into the Rock and Roll Hall of Fame in 1990. 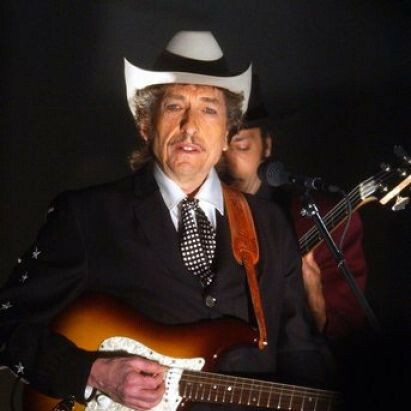 Dylan worked with King a few times – she sang back-up on “Like a Rolling Stone” on the Letterman Tenth Anniversary show, and also sang back-up during some encores on a couple of his 1995 shows. The two clearly had a good relationship. With Goffin things seem a little more mysterious. Goffin, who passed away in June of this year, wasn’t known much as a performer. He recorded an album in 1973, and Back Room Blood was only his second ever. He wasn’t much of a singer – Dylan, even at his scratchiest, has a more melodious voice. But for whatever reason they decided to get together and put down a couple of songs. “Masquerade”, apparently, was mostly written by Dylan in the mid-1980s around the time of Knocked Out Loaded. There is speculation that Goffin altered some of the lyrics, but the music is from Dylan’s tapes and he is credited as co-producer of the song. “Tragedy of the Trade” was the more genuine collaboration, with Dylan approaching Goffin with a title and parts of the first verse. Goffin wrote the rest of the song and the music was written by Barry Goldberg when Dylan didn’t have time to work on it (perpetual touring and all). Dylan is credited with playing on the recording but that seems unlikely. “Masquerade” name drops Ronald Reagan, which is something that Dylan seemed unlikely to do, and just sort of rambles. It’s easy to see why he might have given that one away. Goffin isn’t a big enough name, apparently, to have people posting his music to YouTube for me to embed here. You can hear samples of both songs on places like AllMusic here.